It’s that time of the year again and as we are heading to start a new year, here is a recap of the books I listened to in the past year. I have been doing this exercise for the past three years (Here’s the list of the books I listened to in 2017) and find it beneficial to internally reflect on what I’ve learned and what types of books made me keep on reading to finish, as well as to give suggestions to friends and connections. As always, I have been using Audible and listening to books on 2.5x speed (I’ve slowly trained myself over the past 3 years and now perfectly comfortable in 2.5x-3x speed range). I recommend you to train your brain to listen faster too. It helps you stay focused on listening and not to be distracted and is an intersting mental exercise. Like many previous years, the books I have read are non-fiction and are biographies, productivity, history, entrepreneurship, and finance. This great book by Noah Harari is a continuum to his other book, Sapiens, and is mostly about the future and how technologies will affect us. I liked Sapiens a lot more than Homo Deus. I find Harari very knowledgeable and his books great but did not necessarily agree with some of his thoughts about the future. This book by Scott Belsky tells a real story of a startup, that’s many downs and some ups! I liked some of his suggestions on team management and team building. This was one of my favorite books of 2018. Written by Reid Hoffman, this book talks about super fast growth and compromises that startups need to make on the way to super-growth. Very practical, to the point, and incredibly useful book by Elad Gil, and another favorite. Most startups books talk about the early stage or very late stage, but this is the perfect book for a startup founder in series B/C/D stage. This is an autobiography of Craig Venter, one of the pioneers of the human genome project and an academic with heavy involvement in the industry. This is a long book and a detailed story. I particularly liked his anti-war attitude in Vietnam war and how he tried to escape the war. I did not like him spending too much time on others and his competitors. Discussing method to make lasting habits and changes in our lives. I did not find this book particularly novel or with new information, but it was a good reminder of how to form habits. Written by a former world series poker champion, looks at decision making from the perspective of chance. For a long time, I have been a fan of books that discuss the role of luck and thinking in probabilities in decisions and outcomes. My favorite in this category was Nassim Taleb’s Fooled by randomness. I really liked this book. Written by a journalist who actually never worked in Snapchat and gathered all these information by talking to people. This is a detailed story of the early days of Snapchat. Enjoyed the story and great job by Billy Gallagher. This book by John Doerr sums up his methodology with OKRs and goal-setting. The concept of OKRs and John’s work over the past 20 years has been so powerful that by the time this book was published, people have already used OKRs in their lives. This is a great reference book on how to set OKRs. This could have been shorter. This book by Jason Calacanis is geared towards less sophisticated investors who are getting into angel investing and not for more professional/institutional investors. Regardless, I enjoyed Jason’s take and view on how to assess companies. A book written by an Iranian-American young guy, Alex Banayan, same age as me, on his quest to interview successful people. For me the point of this book and listening to the story was not about listening to advice from those people or the interviews, but rather listening to the story of Alex and his perseverance on this road. Very well-described story. This is a classic book and a research on what separates public companies that were good but changed and became great. It was an interesting read, however, I didn’t find it much useful. 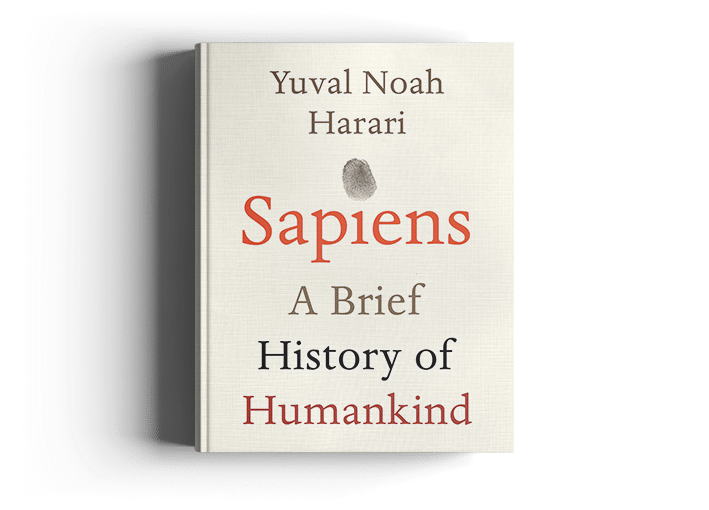 Written by Yuval Noah Harari, this is a history book on how we became humans, from Neanderthals to the history of money, cities, and politics. This was an interesting read on examples of how large corporates were able to adopt startup culture and agile techniques to move faster and do extraordinary projects. While this was not necessarily useful for me, it was a good educational read. Another favorite book of the year, this was a super long book (took me more than 2 months to finish listening to), about the life of Warren Buffett. Very interesting life story, and great to learn about Charlie Munger as well. This is an interesting (but somehow boring) book on why the preconceptions about what makes for success and successful people are wrong. Recommended read for parents! A history of key people contributing to information theory and the information age, mostly from the world war era. This is a useful introductory book about healthcare and technologies in healthcare and provides a case for how disruption in healthcare is not similar to disruption in tech. I recommend reading this to tech people interested in healthcare. This was, without a doubt, one of the best books I have read and among the top 5 books that have changed my life in one way or another. What makes me love this book is Noah Harari’s honest and to the point discussions about the history of concepts that have carried out thousands of years to-date, like money, war, politics, hierarchy, etc. I am also glad that I produced content (here on medium) by publishing a few articles that had over 250,000 readers in 2018 and hope to continue publishing content in 2019 that could be educational and useful. To a peaceful and prosperous 2019!